I’m sure you have heard the craze around video marketing, right? It’s 2019 people! At this point in the digital marketing game, you HAVE to implement video marketing! And I am not talking about the cheesy videos, or you hiding behind a presentation and just having your voice being heard. I am talking about getting your face in front of the camera and really connecting with your audience. 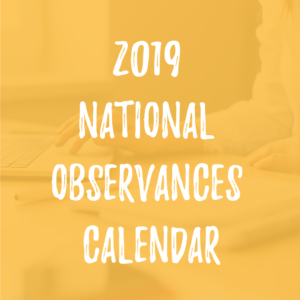 The Number one Trend for 2019 in the social media marketing world was building an authentic brand, allowing your patients to see behind the scenes, and really know, like, and trust you. Video marketing allows you to build patient loyalty and keeps you top of mind, by using video your fans can share your videos and are more likely to refer you to family and friends because they have a deeper connection with you and your office. I totally get the fear of video marketing, we have been in business for over 10 years, and it wasn’t until March of 2018 that we started implementing videos into our own plan. It was something we ALWAYS recommended our clients did, but not something we DID for our own business! Funny how that works, huh? You don’t need to have a studio, expensive equipment, or celebrities, you would be amazed at what you can do with the technology you probably already have, like iPhone, or smartphones, a digital HD camera, etc. This rock can hold people up and get in their heads, it then becomes an excuse, I don’t have a fancy studio, backdrops, big lights, huge camera, etc. therefore I can’t produce a good video. We will discuss this process below. Before we jump into the 5 steps for a video marketing strategy, I wanted to give you a few stats from our friends over at HubSpot. So, let’s dive into the top 5 steps to have a clear video marketing strategy. A great place to start with this task is your current patient list, who are you currently serving? Who is my ideal patient? What are they visiting my office for? What problem or pain points do I help them with? What can you offer them for free to help with a pain point? Having a clear understanding of WHO your target market is and WHY you want to work with them is key! Look at your current patient list and think of all your favorite patients, why are they your favorite, what do you like most about them, and what is their living situation like? You want to attract the right patients into your clinic, right? Loyalty – Patients that are going to stick with you and brag about you to everyone they know! Imagine that! In order to have your video marketing working FOR YOU, you need to write out a clear plan. Now that you understand who your target market is, it’s important to create the videos that are going to connect with them. The best way to organize your video marketing strategy is to implement it into the content calendar we have shared before LINK HERE I would create a new tab for your video marketing, then on the main calendar tab 1, you want to be sure you know when you are sharing those videos and to what platforms. Once you lay out your video marketing topics, then you want to figure out what videos should go on what social media platforms. As I said in the beginning, you don’t need fancy equipment or a fancy studio in order to produce a good video. These videos are more about building long-lasting relationships with your patients. Building brand loyalty. We are not talking about a commercial we are talking about 1-3 minute videos. Some of your videos if you are showing a “How To” or interview, those may be longer. Just keep in mind your goal for each video. What is that videos purpose? Do you need to write out a script or have bullet points? I like to write down the bullet points for each video and what the length should be. When I put a script in front of me I get really nervous, I like to wing it in a way! But. you have to find the best process for you. Picking the right place – setting the stage. You don’t need to have a fancy studio, but if you pick a spot in your home or office that has good natural light, good sound, that will make a difference. Thinking of doing videos during the day with the natural light, rather than in the evening when it can be darker inside. It may seem like a lot, but see where your team/staff can come in handy and where you may need to outsource a few things. Now, that you have the video recorded and ready to show the world, there are a few steps you will need to take to upload your video correctly. 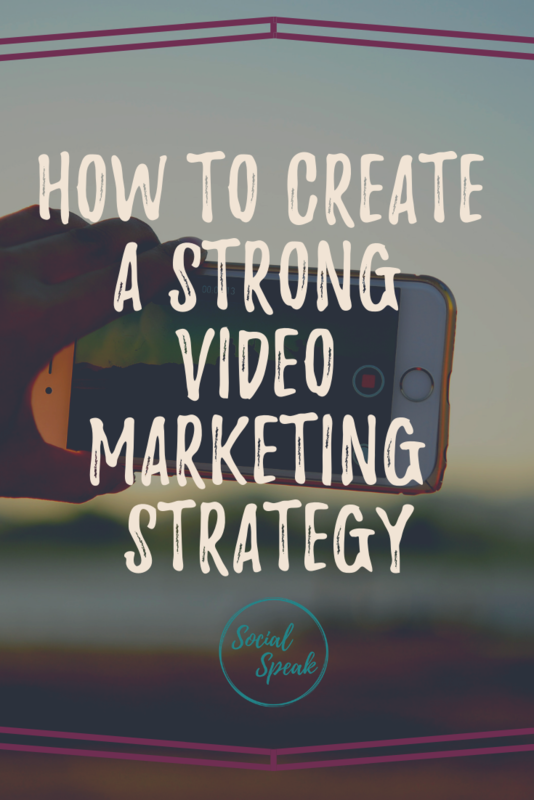 When you are creating a video it may have a certain purpose, most videos should go onto YouTube regardless, but you may make one specifically for Facebook or Instagram. If that is the case you can upload them directly to those platforms. YouTube is owned by Google and the 2nd highest trafficked website, they have over a billion users and people are recorded to watch more than 500 million hours of video daily! This number is growing each and every day. So, yeah your videos should always be uploaded to YouTube in addition to social media platforms! You will want to make sure you have a YouTube channel set up. Once a video is uploaded to YouTube it gives you a link where you can share to Facebook, LinkedIn, Twitter, and Pinterest, it also gives you an HTML code that is how you can put that video onto your website or into a blog. *** BONUS – Download TubeBuddy TubeBuddy is a browser extension which adds a layer of amazing functionality right on top of YouTube’s website. They help with finding the right tag words and making your video as searchable as possible! The other thing to think of if you are planning on doing a lot of videos . . . which you will be is where do you want to store your videos? They end up taking up a lot of space on your computer. Look into Vimeo, Dropbox, Zoom, iCloud, etc. One thing I love about doing videos is being able to monitor the results, the views, the comments, the shares, etc. It makes me feel like people are really interested in what I have to say HA! Just because you do one video doesn’t mean you will get a million views, some of the videos we have done haven’t gotten any views. It’s important to track these results and find out why, was it a poor title or description, are people not really searching for that? Remember each video should be addressing your target market and sometimes your messaging needs to be fine-tuned. This is why the planning piece is so crucial because you want to hit the pain points your audience is searching for. Your YouTube channel stats – check views on each video, comments, likes, etc. I would look at your video marketing each month, at the end of each month analyze each video and collect your data. Make notes of what videos got the most ROI and see how you can create more videos around that topic, then the videos that didn’t do as well, look at the title and description, can it be edited or does the video need to be redone? What happens if you have high views but little or no engagement? Maybe you do not have a clear call-to-action in the video, ask a question at the end to start the conversations. Pay attention to the numbers and the platforms you are getting the most engagement. In conclusion, as you can see it is important to have a plan and logic behind your videos, to make sure each video you make is serving a purpose. I wanted to end this blog with some free tools that can further assist with your video marketing strategy, a few of them I have already mentioned in the blog. TubeBuddy – Free browser extension that integrates directly into YouTube to help you run your channel with ease. I would love to hear your success stories with how video marketing has been a successful marketing tool to grow your business. This guide from Animoto breaks things down to show you how easily (and quickly) you can get started with video. Intimidated by video marketing? Animoto has broken things down so you can easily and confidently start promoting with video. Download the free guide to learn why video marketing is essential and how to determine your video marketing objectives and goals. You’ll find inspiration for video ideas from 5 real-life businesses, tips for shooting, editing, distribution, and more. So what types of business videos can you create? We recommend creating Brand Videos, Expertise Videos, Product Videos, and Ad Hoc Videos. In the hopes of being successful in the world of online marketing, companies and organizations utilize different strategies. Video marketing is one of them. Today, online videos are considered to be one of the most popular forms of advertising. In fact, a lot of businesses are using online videos as a part of their promotional strategies in order to stay ahead of the competition and keep up with the fast paced trend. Still not convinced? Here are 4 reasons why you should advertise with videos online. People are getting more into viewing and sharing videos via Youtube, Facebook and other social networking sites. They just can’t look away. Everybody is watching videos. Youtube alone has more than 4 million views per day. That said, you need to make promos, ads or video blogs, whatever format best reaches your target audience. Videos are an effective form of advertising as you can vividly show your audience, not just how your product looks like, but also how it performs. Through this format, you can easily instruct and educate your current and potential customers about your products or services. Most people don’t have time or are too lazy to go through lengthy articles. They would rather spend a couple of minutes watching a video just to get the answers they need. 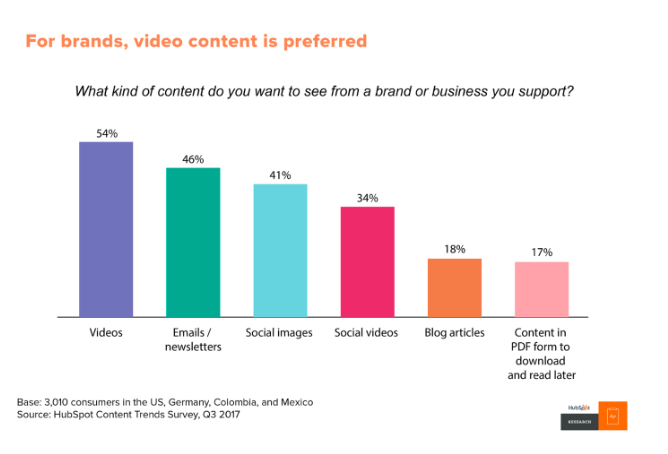 Users like to see something new and different, and videos can help you deliver. If you wish to stand out from your competitors, you need to create curiosity and offer information in a different way. Videos are a great story-teller. By creating an engaging and compelling video, you can get people to cry, laugh, get mad or excited. This enhances user experience, making them want to come back for more. 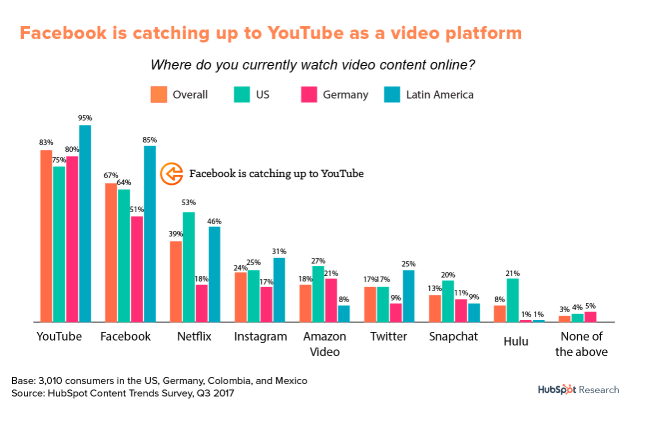 According to a survey done by comScore Inc.,a global digital marketing service, the average Internet user watches about 185 videos each month. This includes advertising videos, personal videos, entertainment and news clips, etc. Videos are a great way of engaging your audience in a way images and texts alone cannot. By adding video to your marketing campaign, you can give heart and personality to your business, while demonstrating your authenticity. Additionally, video is capable of providing as much as 50% conversion rate. 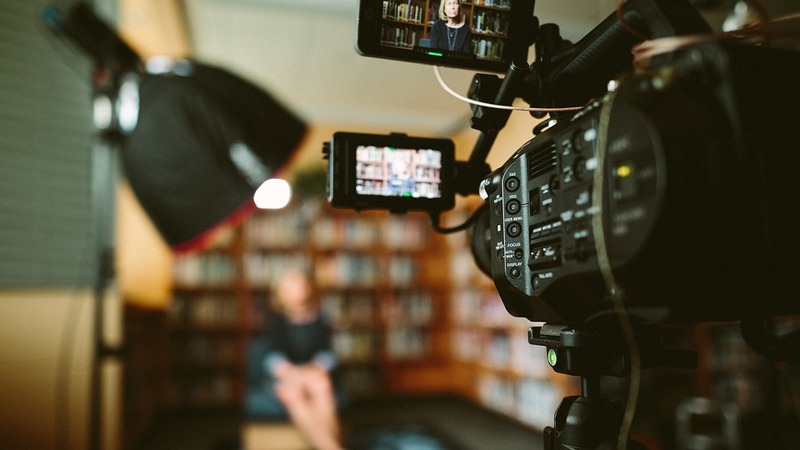 If you have no idea what type of video you should create, here are a few tips that will help you produce informative and entertaining clips that will also reveal the human side of your business. Nothing is more compelling than hearing your clients explain how your products or services helped solve their problems or improved their lives. Use this video to help prospective customers see themselves in the stories of these people. Instead of telling your current and potential customers how your business works, it would be best to show them. In other words, take your how-to guides to the next level and bring it to life. Mind you, educated buyers are more likely to make purchases. The best products reviews usually come from trusted third-party reviewers. These types of videos can be found from various business portals to YouTube. Feel free to partner with reliable third parties and ask them to create products review for your business. These videos are mostly considered as the equivalent of company brochures. Corporate overviews are usually intended to provide your audience a better idea about your company. These types of videos often include the executives, owners, key products and company history. Visual stories usually include motion graphics, animations and illustrations with a voice-over. Videos of this kind are intended to explain complex products in a simpler and more compelling manner. Are your videos visually engaging? Utilize the power of video marketing by showing your audience what you are talking about. In other words, do not just tell them. Play on the power of visuals. Video marketing can be incredibly powerful because it allows you to engage and persuade your audience directly. Make sure that your video illustrates the benefits of your product or service. Demonstrate how your product works and why your audience should care. Does your video tell a story? Make sure your video has a beginning, middle, and an end. In this sense, your video should be formatted like a good story. Good stories make us think and feel. But most importantly, they make us remember. The beginning of your video should establish who you are as a company and as a brand; this would be equivalent to establishing characters in a novel. The middle of your video should explain the product or service and give your audience a call to action; this is similar to the climax or problem in a novel. The end of your video must leave the audience with a reason to interact with your brand. Is it clear who your video is targeting? Play to your audience. Think about where your video will be displayed. Your video should be targeted to the audience you want to communicate with and in turn, the audience that will be interested in watching video content. The tone of your video should align with the personality of your company. Give your audience a strong sense of who you are through your video. Is your video interesting? Keep it simple and clear so that your audience views the entire video. You would not want to loose them half way through!